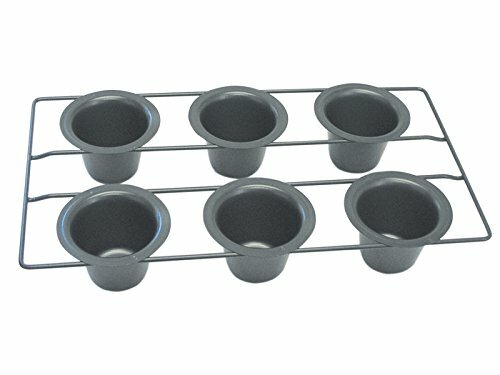 Make a variety of popovers, muffins, mini desserts and more with this Non-Stick 6-Cup Popover Pan from R&M International. R&M International is a worldwide supplier of high quality cookie cutters, numerous kitchen gadgets, and affordable cooking and baking products. Since 1993, we have shared recipes, tips, and other resources to help people make long-lasting memories in the kitchen. More Than Baking...Memory Making. Measures 15 3/4" x 9 5/8"